"I absolutely love Just Here for the Beer's radio show. It's always fun to sit down and be part of this as it's all about anything and everything in the Craft Beer scene. I think this is a very good show to listen to as Joe and team always bring in the right people to talk about the industry from a Craft Brewery's perspective. If you are interested in the "behind the scenes" conversations then take the time, grab a couple of your favourite beers or new releases, relax and listen." "I always have a great time on 'Just Here for the Beer Radio' w/ Joe and Rick and really look forward to each recording. The guys are awesome, the conversation is solid and it gets our brewery's voice in front of a wide ranging audience." 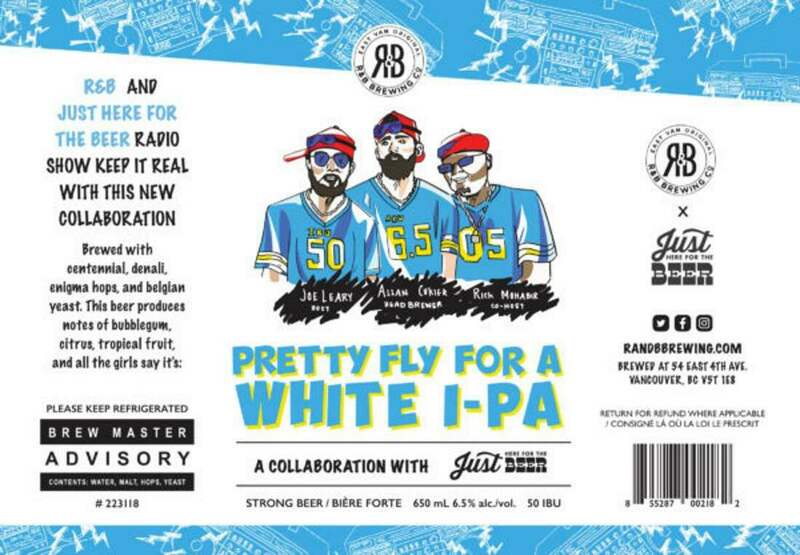 ​Check out the label for our latest collaboration beer with R&B Brewing. Imbued with notes of bubblegum, citrus, and tropical fruit, you'll find this beer in the R&B tasting room and at private liquor stores throughout the lower mainland. It's pretty fly, yo! ​During our many years at the BC Home & Garden Show we have had the pleasure of working with some of the best Chefs in Vancouver as they create sumptuous meals on a barbecue grill. 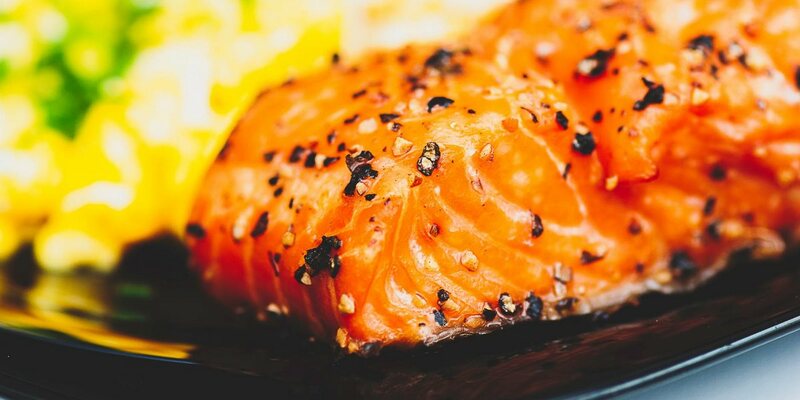 This recipe for Planked Tandoori Salmon is from Chef Karen Barnaby. ​There's nothing quite like Texas barbecue and this melt in your mouth brisket recipe was provided to us by our friends over at Craft Beer Market. Yep, Texas in Vancouver; what could be better? 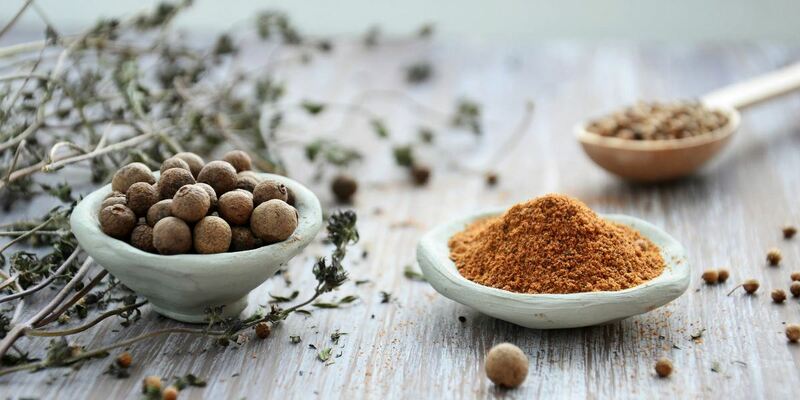 A barbecue rub is a mix of various seasonings that are literally rubbed on to the outside of meat or poultry before grilling. Rubs can be either wet or dry and come in savory or sweet flavor varieties. 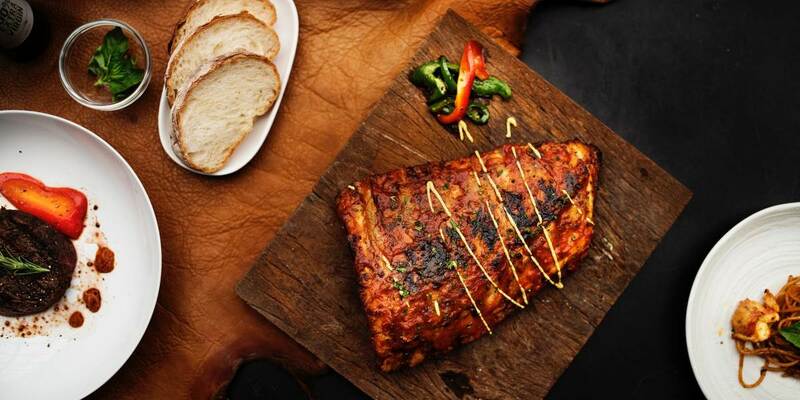 This dry rub recipe was provided to us by our friends over at Memphis Blues Barbecue House. From the evil genius of Evan Doan at Doans Brewing, a dry-hopped Kolsch perfect for a sunny lower mainland patio!!! 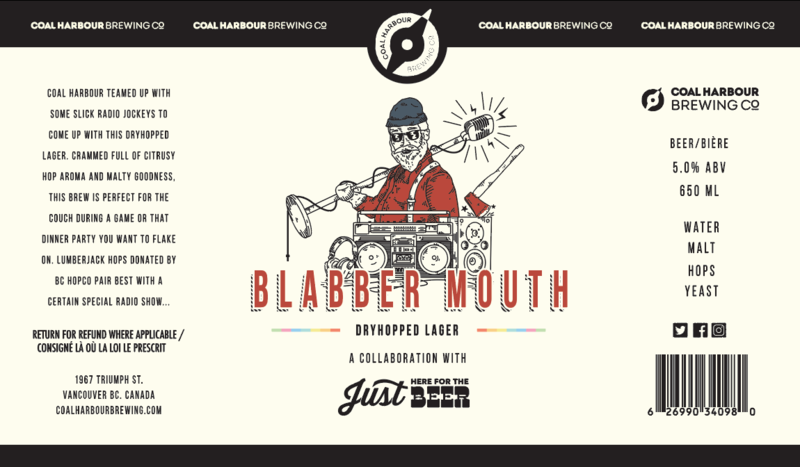 ​Blabber Mouth from Coal Harbour Brewing, is a flavourful lager with a more prominent malt body than they usually brew. Packed with Falconer’s Flight, and Lumberjack hops that were generously donated by BC Hop Co., this is one easy drinking beer, with that nice subtle Westcoast finish. 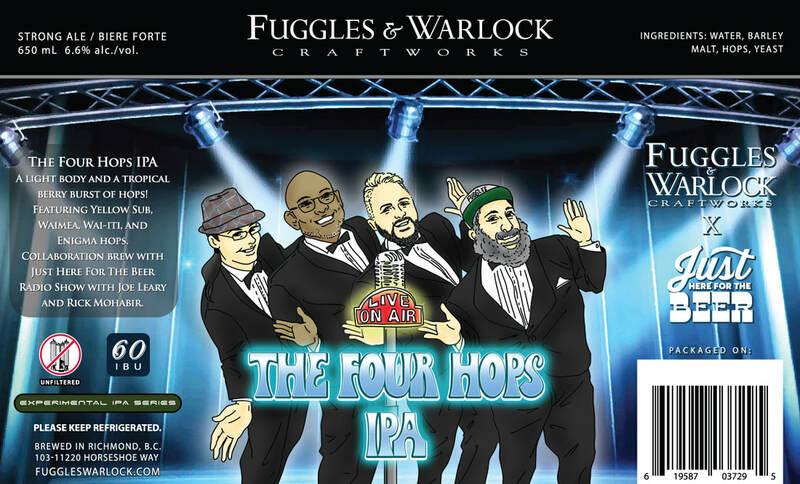 We had a chance to collab with the gang at Fuggles & Warlock on a very well balanced and smooth IPA featuring some hop varietals that Brewers Dan and Tony had never used. 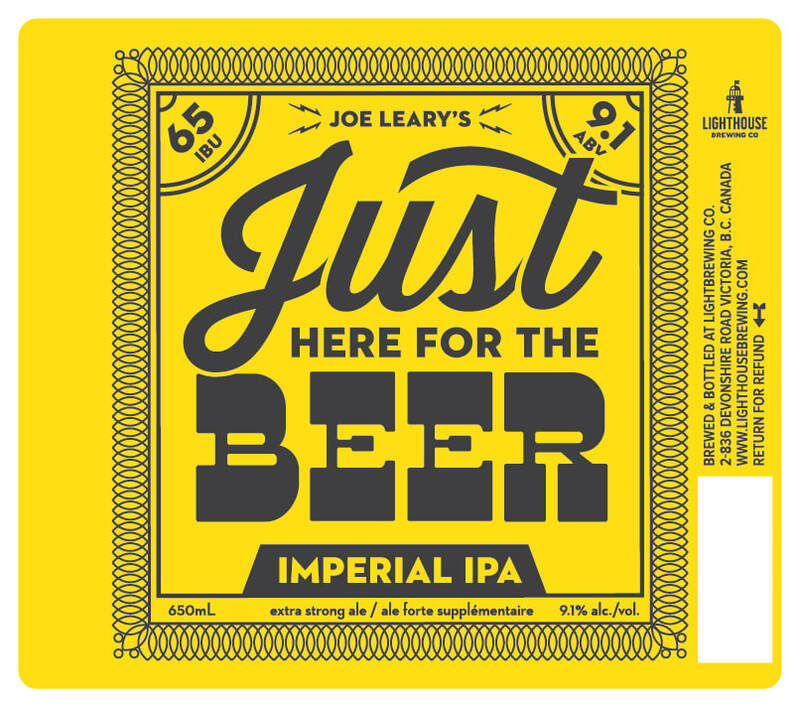 Our very first collaboration beer with our friends over at Lighthouse Brewing. A full hoppy triple IPA with a beefy 9.1%ABV.